Welcome and thank you for considering International Garden Concepts to design and construct your landscape investment. My career as a professional landscaper and horticulturist started in South Africa in 1981, and I am as passionate about it now as I was then. After four years of study I was awarded a diploma and higher diploma in horticulture (which included landscape and design). This led to the start of my own landscape company. I have worked on many rewarding and high profile projects, from theme parks and hotels to shopping centres and sports fields. My portfolio includes apartment and townhouse complexes plus design and construction of literally hundreds of domestic gardens. Other projects are as varied as relocating palm trees weighing between 15 and 27 tonnes. "I am committed to service and landscape excellence" Before arriving in Australia I travelled the world extensively studying gardens of the different nations that I visited. 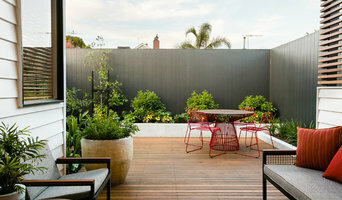 This inspired me to develop a landscape business aimed at achieving any international style of garden using the most suitable plants for Australian dry conditions. With these credentials who better to trust with your next landscape investment? From design to completion, I will be happy to guide you through the different landscape processes. This provides you with the convenience and continuity of dealing with just one professional for your entire landscaping project. 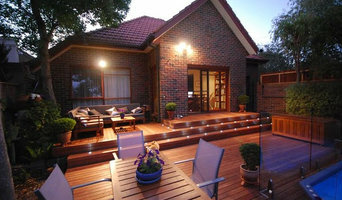 For innovative gardens that will survive the test of time and the unique weather conditions in Melbourne, Australia, please contact International Garden Concepts. 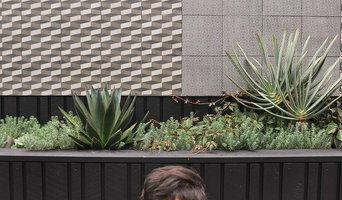 Houzz is a great place to start your search for the right Richmond, Victoria landscape architect or designer. You can either browse outdoor photos and find professionals linked to them, or you can browse our professional directory, see their latest projects, read reviews, and narrow down your search based on your style preferences. Once you’re down to a few, reach out and get some quotations to make your final choice.